The Cine Ring brings your still image lenses one step closer to actual cine lenses and thereby makes your life on set easier. One of the disadvantages of using still image lenses versus cine lenses is that they all have different front diameters. Our cine ring screws into the front thread of your still image lens and brings the front diameter to an industry standard 80mm. It also provides you with a common front filter thread of 77mm. Your lenses are now compatible with many cine accessories that attach to the front of the lens. You no longer need to worry about having a lightproof connection between your matte box and your lens. All you need is an 80mm donut or bellow, and all your lenses will fit perfectly. Also, you can use clamp-on matte boxes and shades that attach directly to the 80mm adapter ring (given your lens can support the weight of the clamp on matte box). Another advantage is that you no longer need to purchase round filters in different sizes for your lenses. 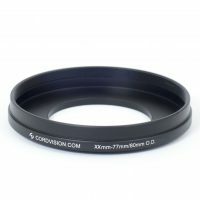 You can just start buying 77mm filters and they will fit all your lenses. The included Deluxe Cine Lens Cap fits our 80mm Cine Rings and lenses with an 80mm front. It has a tight fit and wont fall off easily in your lens case like it often happens with other caps. The cap is made from a very abrasion resistant rubber like material. 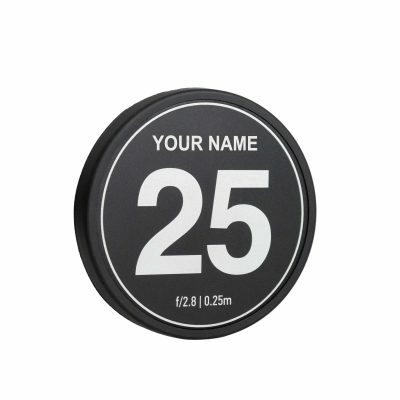 It’s specifically designed to withstand heavy use as often encountered in the rental environment. The surface finish is matte black and there are no ejector pin marks etc. as common in most other caps. We have looked at many other caps and found the Deluxe Cine Lens Cap to be the best cap currently available. It even beats the much more expensive Arri Cap. 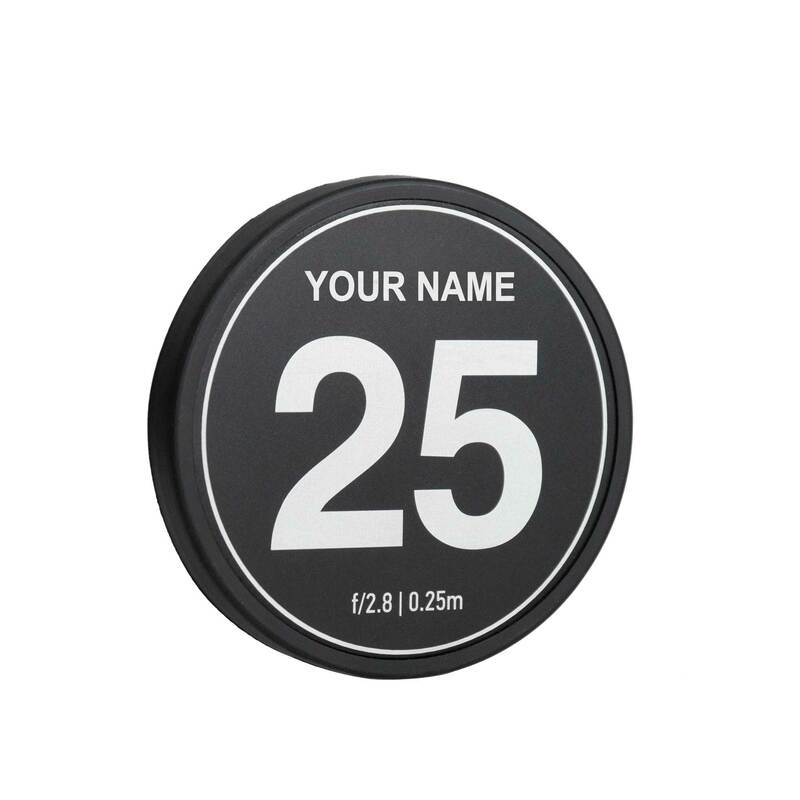 You can choose to get your cap marked with the focal length of your lens or do a full custom engraving. The marking is done on an anodized aluminum insert that is bonded to the lens cap with an adhesive. 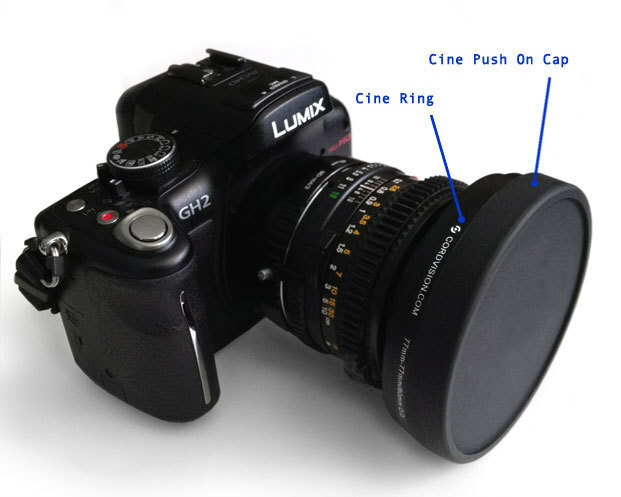 – You now have a cine style front cap to protect your lens.